Dr. Maryanne Rhett is Associate Professor of Middle Eastern and World History, having joined the community at Monmouth University in the Fall of 2008. Her current work examines various aspects of World and Middle Eastern history at the beginning of the twentieth century, including work specifically related to the history of the Balfour Declaration. Additionally, she has recent publications which reflect both her academic and pedagogical interests including: the chapter “Race and Imperial Ambition: The Case of Japan and India after World War One,” in Empires in the First World War; the article “The Mask or the Veil: Unraveling the Cultural Discourse in France and Popular Culture;” the chapter, “Orientalism and Graphic Novels: A Modern Reexaminaiton of Popular Culture,” in Graphic History: Essays on Graphic Novels and/as History; and the chapter “Leagues, Evil Doers, and Tales of Survival: Graphic Novels and the World History Classroom,” in Graphic Novels and Comics in the Classroom: Essays on the Educational Power of Sequential Art. Dr. Rhett teaches Islamic history, Modern Middle Eastern history, the history of Militant Nationalism for the history department (among other classes), as well as the Perspectives class “A Graphic World: World History and Sequential Art” and the two First Year Seminar classes “The Rise of Starbucks” and “The Beautiful Game: How Soccer Changed the World.” Dr. Rhett is Secretary for World History Association as well as the WHA’s program committee chairman. She has arranged programs for the Mid-Atlantic World History Association, the World History Association, and the Monmouth University Biannual Conference on Race. 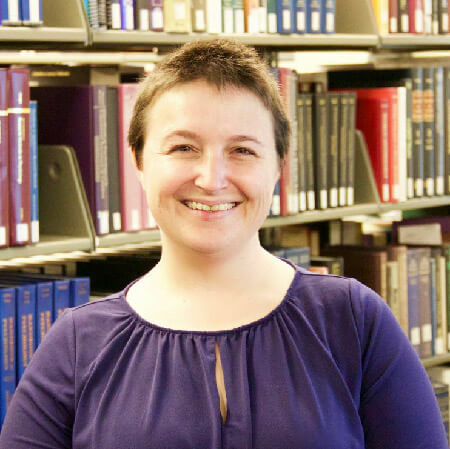 As the department’s Director of the Graduate Program in History, she encourages you to contact her about any questions you may have the History graduate program. 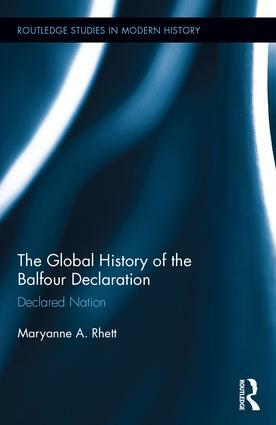 A Global History of the Balfour Declaration: Declared Nation. London: Routledge, 2015. “Emerging Empires: The Attempts to Create an Indian Empire in Africa and a Japanese Empire in the Pacific,” In Empires in the First World War. Eds. Richard Fogarty and Andrew Jarboe. 49-73. London: I.B. Tauris, 2014. “The Mask or the Veil: Unraveling the Cultural Discourse in France and Popular Culture” The Middle Ground Journal: World History and Global Studies. No. 7 (Fall 2013). “Leagues, Evil Doers, and Tales of Survival: Graphic Novels and the World History Classroom,” In Graphic Novels and Comics in the Classroom: Essays on the Educational Power of Sequential Art. Eds. Robert G. Weiner and Carrye Syma. 111-119. Jefferson, NC: McFarland, 2013. “Orientalism and Graphic Novels: A Modern Reexamination of Popular Culture.” In Graphic History: Essays on Graphic Novels and/as History, Ed. Rick Iadonisi. 203-222. Newcastle: Cambridge Scholars Press, 2012. “The Graphic Novel and the World History Classroom.” World History Connected (WHC) 4:2 (2007). Rhett, M. and Bridget Keown. “Diana in No-Man’s Land: Wonder Woman and the History of World War.” In Drawing the Past: Comics and the Historical Imagination. University of Mississippi Press. Eds. Michael Goodrum, David Hall, and Philip Smith.